Our Future Masterton Stage One and Two Summary Report. Edgar and Bird. Property Partner: Hall Family Trust. 122 Queen Street. 25 October 2017 - 24 January 2018. Open Tuesday – Thursday. Images and information here. Siv B. Fjaerestad. Our Future Masterton Hub 15 Queen Street and wider CBD. 16 November 2017 – ongoing. More information and images here. Heather Bannister. Property partner: Masterton District Council. Rose Cottage, Queen Elizabeth Park. 11 December 2017 - ongoing. Open Monday - Friday 10am-4pm. More information here. Anna Rutherford. Property partner: WBS Bank. 75 Queen Street. 19 October 2017 onwards. Information and images here. Toi Aria, Te Patukituki and Letting Space. Property partner: Masterton Lands Trust. 15 Queen Street. September - November 2017. More information here. Aratoi and the community. 21 October 2017, 11am-3pm. Bruce, Dixon, Park and Queen Streets. Information and images here. Masterton District Council Library and Connecting Communities Wairarapa. Property partner: Masterton Lands Trust. 7 Church Street. July 2017. Information here. As part of Our Future Masterton , the Urban Dream Brokerage service was run as a pilot in 2017, providing a vehicle for creative thinkers with dynamic ideas to test them out in vacant commercial spaces and public spaces. This was an opportunity to think outside the box and develop ideas that reflect and make visible the diversity of Masterton Whakaoriori. The projects were for vacant retail space or simply in public space, or both. 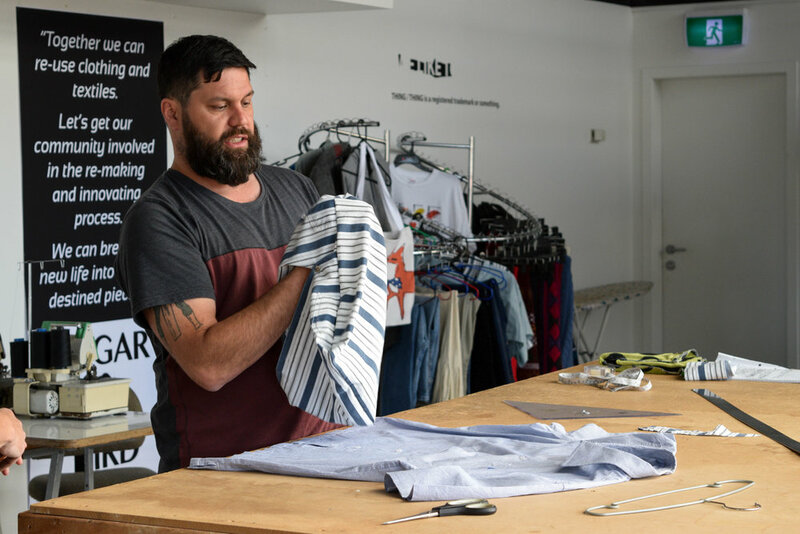 They needed to be innovative - do things differently than other services or spaces in Masterton. They needed to engage people to participate and bring new, more diverse people to the CBD - to create more living welcoming spaces. UDB calls for ideas for vacant and public space, a local advisory panel assesses them and a local broker then brokers the space with property owners, council and retailers to enable them to happen. While we don't fund projects, we help make them go from dream to reality and provide advice to make them as excellent, innovative and accessible as possible. For inspiration and to see what's possible check out the image libraries of 78 UDB projects and counting in Dunedin, Wellington and Porirua. For more information on what Urban Dream Brokerage is about go here and check out our media and blog page. A way to participate in creating a future Masterton. Through a range of fun activities this was a way to be part of a citizen-led design for Masterton and its CBD. Not just for next year, but for the decades ahead: a legacy to future generations, that young and old contribute to. A collective 50-year vision. Who are we? We are the Masterton community, but with facilitation and inspiration from an experienced team from Toi Āria: Design for the Public Good, Massey University and Letting Space, an independent public art and urban revitalisation organisation. The programme has been sponsored by Masterton District Council. · Urban Dream Brokerage, calling for innovative new ideas for public and vacant commercial spaces from the community, and then brokering spaces for those that meet the community’s goals as events over 2017. The brokerage has a local broker and diverse local advisory panel. · An Our Future Masterton Hub: a hands-on interactive space where you can contribute ideas for the future, comment on others ideas, past and present, and potential areas of physical spatial change in the CBD – through both displays and mini-workshops. · Visualisations of potential options for creating new and connected spaces in the Masterton CBD to stimulate further discussion and contribution. CBDs really flourish through participation and strong leadership from all sectors of the community, not just those perceived most powerful. Following initial citizen contributions in 2016 workshops, our focus was exploring ways to create a well-connected and generous community, strengthen inter-generational connections, and recognise and build capability with tangata whenua. 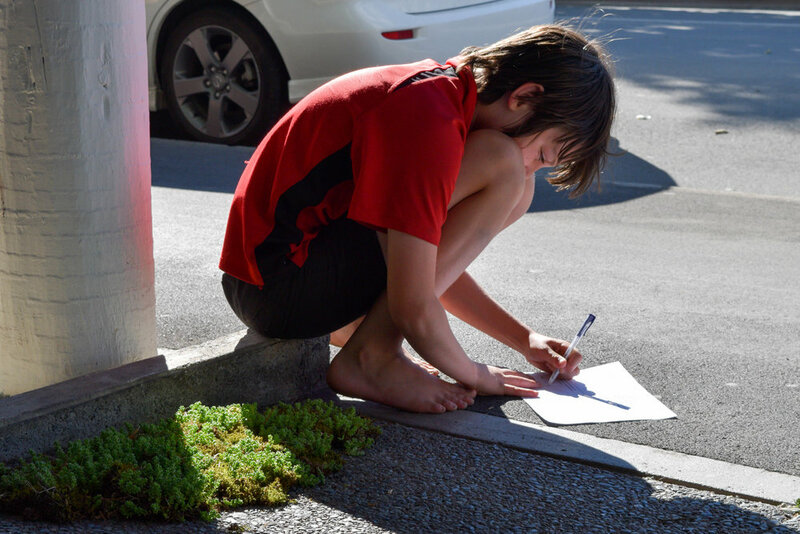 Physically, we were asked to look to create shared spaces, strengthen connections between spaces, and strengthen connections to Masterton’s heritage and history, and the CBD’s connection to nature. One of five workshop groups in our fourth Our Future Masterton workshop in 2016, Aratoi.